Choosing the best dog food that meets specific nutritional needs is a challenging task that requires a lot of researching. This is due to a wide variety of dog foods available on the market. However, buying the best dog food for Yorkies is a worthy investment as it helps in maintaining good health of your pet. If you own a Y﻿﻿ork﻿﻿ies pet and you are looking for the best dog food that will suit your pet’s dietary needs, then you are in the right place. This article features reviews of the best dog foods for Yorkies and a definitive buyer’s guide to help you choose the right product. How To Choose The Best Dog Food For Yorkies? 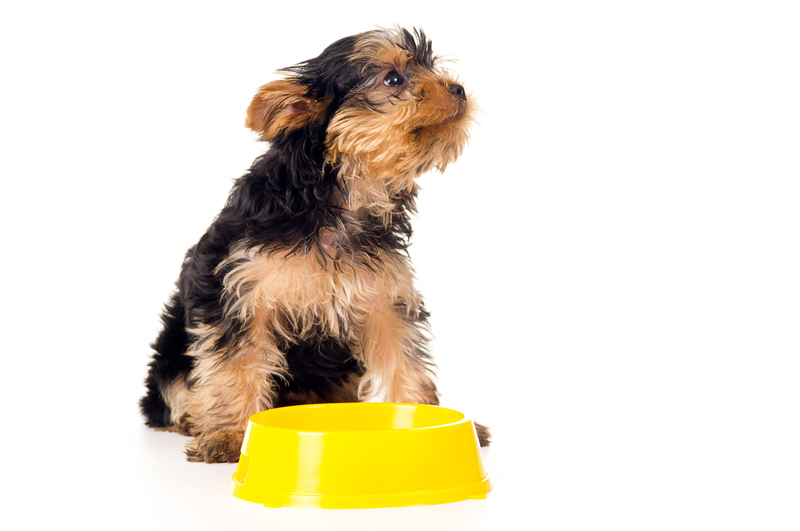 How Much Dry Food Does Your Yorkie Needs In A Day? Wellness Complete is our pick as it is a top quality dog kibble that is designed for small breed dogs. Besides, the dog food does not contain wheat, corn, soy or any artificial additives like flavor, colors or preservatives. The product has an excellent formulation and high-protein content making it one of the ideal dog foods that meet dietary needs of Yorkies. The dog kibble has a high-fat formula and healthy sources of carbohydrates like barley and brown rice for slow-burning energy and fiber. Moreover, it has an excellent taste and small-sized kibble that scraps tartar from your dog’s teeth. This helps in enhancing dental health of your Yorkies dog. Wellness Complete contains probiotics and prebiotics as well as chicory root, which are gentle and safe on your dog’s stomach. Besides, the dog food is rich in Omega-3 and 6 fatty acids that help in promoting a shiny coat and healthy skin. Finally, the dog food is rich in antioxidants that enhance the health of your dog’s immune system. Wellness has a delicious taste that appeals to small breed dogs, which makes the best dog food for fussy Yorkies. Royal is the best dog food for Yorkies as it is designed with small sized kibbles that suit the dog’s tiny mouth. Besides, the dog recipe contains high protein content and well-balanced fat and carbohydrates.This helps in meeting nutritional requirements of Yorkies, and therefore a perfect choice for those who are not on a tight budget. The dog food contains Omega 3 fatty acids, which helps in promoting shiny and healthy coat for your dog. Moreover, it is designed with an excellent formulation that stimulates dog’s appetite. This makes it ideal for Yorkies as this breed can be a bit fussy. Finally, Royal Canin features specially designed kibbles that help in limiting tartar and minimizes dental plaque formation. The size of the kibbles ensures that Yorkies can take and chew their food. Besides, it features a complete and balanced nutrition program that is recommended for Yorkies beyond ten months. Purina Pro Plan is one of the most affordable high-quality dog foods for Yorkies. The key ingredient in the dog kibble is high-quality chicken. However, the dog recipe is enriched with extra phosphorus, calcium, and other minerals to help in enhancing dental and bone health. The dog diet is designed with a bite-sized kibble that allows easier picking and chewing of food by small breed dogs. Purina Pro Plan contains natural prebiotic fiber obtained from the finest wheat bran, which helps in promoting digestive health. This is important in addressing stomach upsets and other health complications. It also contains omega-3 fatty acids and glucosamine that offers joint health and mobility support. Besides, the dog food contains omega 6 fatty acids that help in maintaining a healthy Yorkie's coat and skin. This makes the dog diet one of the best products for dogs with skin and stomach sensitivities. Finally, the dog kibble other key ingredients that help in supporting all the dietary needs of Yorkies depending on dog’s lifestyle and life stage. Moreover, Purina comes in different formulas and flavors that suit your pet’s nutritional needs. These include recipes for dog’s weight management, life stage and sensitive stomach and skin. Expert nutritionists create this quality dog food to meet the nutritional requirements for small breed dogs. The product is a bit pricey, but it contains high-quality ingredients. This includes protein and carbohydrates from the finest sources. Natural Balance Original contains extra phosphorus and calcium that support growth and maintains healthy bones and teeth. Besides, the dog is rich in both Omega-3 and 6 for enhanced coat and skin health. The dog recipe has also added taurine that promotes a healthy heart and eye function. The dog recipe comes with an excellent formulation that suits small breed dogs in all life stages. Moreover, the dog kibble is free of artificial additives like colors, preservatives or flavors. Natural Balance Original is designed with unique kibble sizes for small mouths and a great flavor that appeal to even the fussiest palate. Eukanuba is the best pick dog food that offers great metabolism support to small breed dogs like Yorkies. The dog recipe is designed from prebiotic FOS and natural beef pulp making it rich in nutrients and helps in promoting digestion. This makes it one of the top rated dog kibbles for those who want to switch to better and safe recipes. The dry dog food offers great dental defense system, which is known to bring out desired results within a month. This is by reducing the buildup of tartar in 28 days. Besides, the dog recipe has an ideal kibble size that is half the size of Purina and Royal Canin making it suitable for small dog breeds. Eukanuba contains glucosamine and chondroitin from natural sources that help in supporting healthy joints. Besides, the dog food is made from natural beef pulp and prebiotic FOS. It helps in improving nutrient absorption and digestion health. The dog food contains optimal levels of Omega-6 and 3 fatty acids that help in supporting healthy coat and skin. Therefore, the dog recipe is specially designed to meet the nutritional needs of small dog breeds such as Yorkies. Whole Earth Farms is the best grain-free dog food that meets all the specific dietary needs of small dog breed puppies. The dog food features an excellent formulation that offers optimal protein levels and plenty of healthy fats to your Yorkie puppy. The primary ingredient is a chicken meal that is combined with dried peas, potatoes, and chicken fat. The dog food is also made with plenty of fresh vegetables, fruits, and other healthy plant-based supplements. This dog recipe ensures that your Yorkies puppy has enough proteins for healthy growth and development. Besides, it also offers enough energy to allow your young pet to have a much faster metabolism. Whole Earth Farms include a blend of natural flavors that your young palate will find hard to resist. Moreover, the dog recipe contains a great nutritional value that also makes it ideal for pregnant and nursing Yorkies mothers. Wellness Core is quality grain-free dog food that any Yorkies pet owner should consider. The dog recipe does not contain corn, wheat, soy, meat by-products or any artificial additives like colors, preservatives or flavors. This makes it a perfect choice for Yorkies, as they are prone to food sensitivities. The dog food contains live probiotics and prebiotics that help in improving digestion. Besides, the recipe includes Omega-3 and 6 fatty acids, which maintains a healthy coat and skin. Wellness Core uses real vegetables and fruits as they offer natural antioxidants that help in improving the immune system. Finally, Wellness Core contains high-quality proteins and complex carbohydrates that contribute to maintaining a healthy weight for your pet. Moreover, the dog food contains glucosamine and chondroitin that ensure a healthy joint function for your Yorkies. This enables your dog to get sustainable energy and nutritional requirements for activity, growth, and development. Choosing the right dog food for your Yorkie is the best thing that you can do for your pet. The best dog ﻿﻿food helps in maintaining your pet’s health and plays a prominent role in determining the dog’s temperament and behavior. When looking for dog food for your Yorkie ensure that you pick dog foods with a formula for small dog breeds. This is because particular dog food for larger breeds mainly has different caloric and nutritional profiles content than small sized dog breeds. It is also important to understand that the best dog food for Yorkies should have the finest quality protein in the market. This means that you should avoid dog recipes that contain any meat by-products, as it will not offer enough nutritional value for your Yorkie. 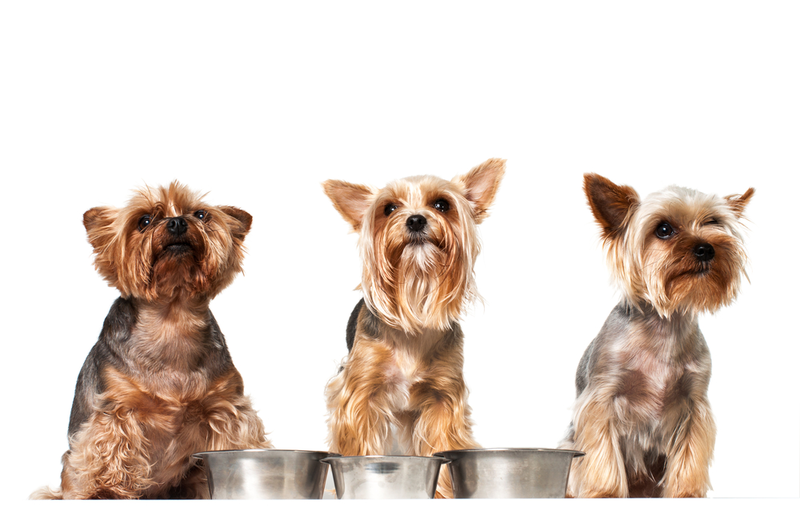 The right dog food for Yorkies should include protein from high-quality sources like turkey, fish, chicken, and fish. Yorkies are small breed dogs, and therefore they need dog foods with small size kibbles that are easy to chew. Most commercial dog kibbles contain high levels of artificial additives like preservatives, flavors, and colors. These provide elevated levels of harmful and dangerous chemicals for your Yorkie’s health. Besides, such ingredients mainly contain allergens that might cause some reactions and digestion problems in Yorkies. The best dog food that you choose should not contain useless fillers that do not add any nutritional value to your pet. Some commercial dog foods contain unnecessary fillers like wheat, soy, and corn. Therefore, it is advisable to avoid dog recipes with such ingredients as they just fill up the stomach, but do not offer any nutritional benefits. Feeding your dog with such dog diets might end up making your pet to suffer from malnutrition. Prominent signs like eating feces after desiccating can determine whether your dog is suffering malnutrition. Carbohydrates are essential for Yorkies. However, it is advisable to pick high-quality dog foods that contain carbohydrates from complex sources like sweet potatoes and rice. 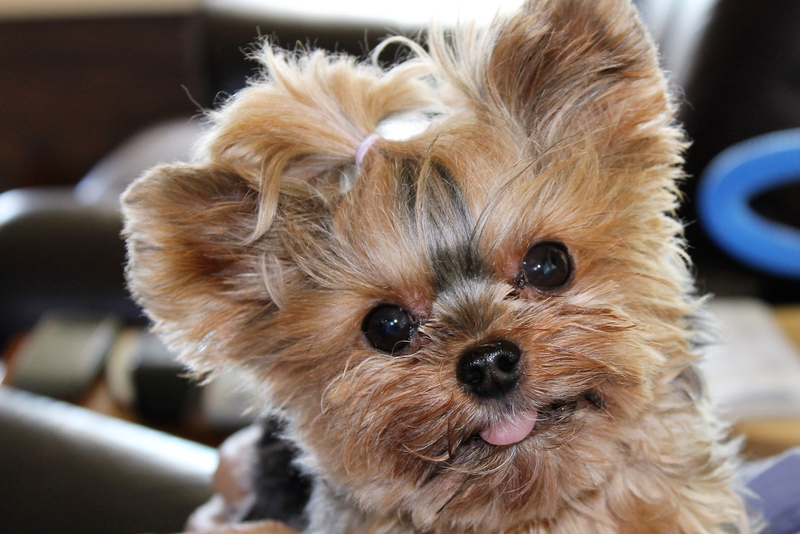 Yorkies have a high risk of suffering from dental diseases than other dog breeds if their teeth are not brushed well. However, the best way to ensure a healthy dental health for your pet is choosing dry dog food over wet foods. This is because dry dog food will greatly help in keeping your Yorkie’s fighting formation of plaque for cleaner and healthy teeth. There is no definite answer to this question even though Yorkies have unique nutritional needs just like other breeds. This is because the amount of dry food that your pet requires also depends on how active the dog is during the day. However, in most cases, puppies tend to consume more food in a day than adult Yorkies for healthy growth and development. ​Approximately, a young puppy should take at least 45 to 55 calories per pound of their body weight every day. However, not all dry dog foods have the same calories per measurement, and therefore it is important to check what is provided on the label. 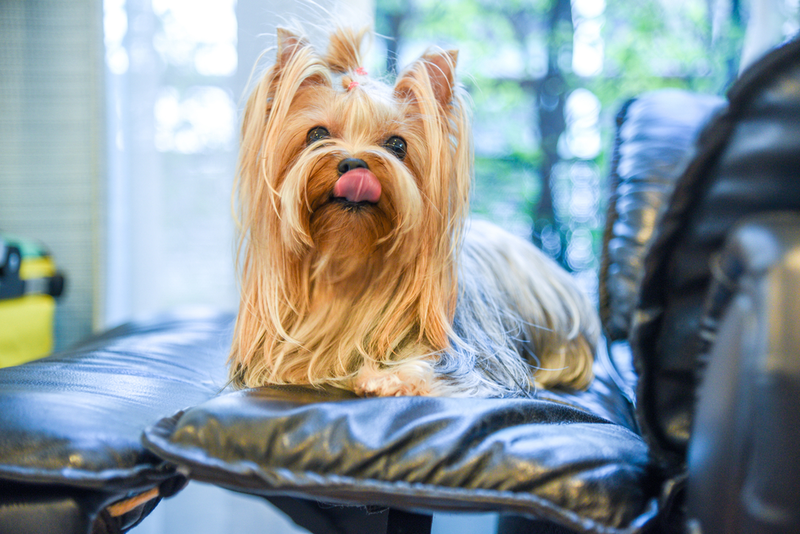 Just like other small breed dogs, Yorkies are prone to many ailments that mainly can be avoided by feeding them on the right diet. However, it is also recommendable to seek medical attention if such health problems arise. Yorkies have relatively sensitive teeth that easily allow the formation of tartar and plaque, which can lead to tooth decay or gum infections. However, dry dog food helps in preventing plaque and tartar build-up because of the kibble’s texture. Yorkshire Terriers are known to suffer from stomach sensitivities. This can, however, be managed by monitoring the type of ingredients in the recipe and the amount of food they take daily. Therefore, you can pick the best dog foods like the ones reviewed above to avoid stomach sensitivities that might lead to diarrhea or vomiting. This is another common health problem, where the kneecap (patella) dislocates from the groove of the femur. The problem is common in small dog breeds and mainly experienced by pets with weak bone structure. Therefore, the problem can be avoided by ensuring that your dog feeds on the right diet from an early age. Hypothyroidism is a common health condition that occurs when the thyroid glands are unable to produce enough thyroxine hormone. The hormone helps in maintaining great body metabolism in your dog. This is a condition that can be partly attached to nutrition as it results when the dog is unable to produce enough hormone. The situation might lead to weight loss or gain due to poor body metabolism. If your dog is already suffering from the disease, you can find quality dog foods that can improve metabolism in the market. Overall, Wellness Complete Health Natural Dry Dog Food is our top pick for the best dog food for Yorkies. This is because the dog food contains live prebiotics and probiotics that makes it gentle on the stomach and improves digestion. Besides, the food has specially designed small kibbles that help in promoting a healthy oral health. Above all, if you are looking for the right dog food that will meet the nutritional requirements, you have enough options to try. The best dog food for Yorkies should contain rich protein content and with low levels of carbohydrates for nutritional fiber.